Sanya’s fixed asset investment in real estate in the first three quarters reached 12.83 billion yuan, a year-on-year 31.7% increase, according to Sanya relevant departments. In the first nine months, the total housing transaction area was 932,000 sqm, up 18.3% over the same period last year. Besides, fixed assets investment on Haitang Bay regions also accelerated, pushing investment growth in the first three quarters 47.5% higher than last year. At present, three five-star hotels like the Conrad, Doubletree Sanya Haitang Bay by Hilton and Renaissance Sanya in the region have opened for business. 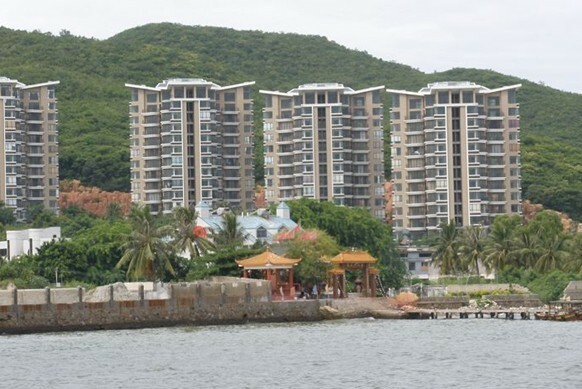 As real estate development has become one of the industries wth the most potential to promote the city’s economy, in 2012, Sanya will place its focus of property projects in Luhuitou Peninsula, Sanya Bay, Yalong Bay, Yuechuan Zone and Linchun River with an estimated investment of 19 billion yuan.